It’s been a little bit since perhaps you’ve heard an update from us. There’s a reason for that. Here’s the story. A few weeks ago, we went in for our second official interview with our adoption agent. We absolutely love her. She’s wonderful & has such an incredible heart for adoption. She sat down with us and we started to talk over some fees. Great News- The Korean program is moving faster than it ever has! We could get our referral within weeks of finishing up our paperwork (not years). 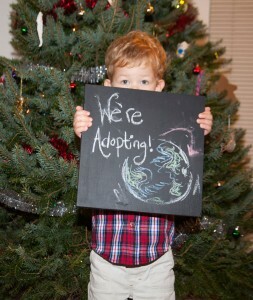 Great News- there are three waiting children right now, that can’t wait for their forever family! Great News- our paperwork is well on its way. Hard News- $3000 is due up front and another $25,200 in a couple of months (upon referral). So, then we cried. And prayed. And thought about it. Here’s the deal- we knew that there would be these fees, we just thought they would come in about a year from now, not a few months from now. 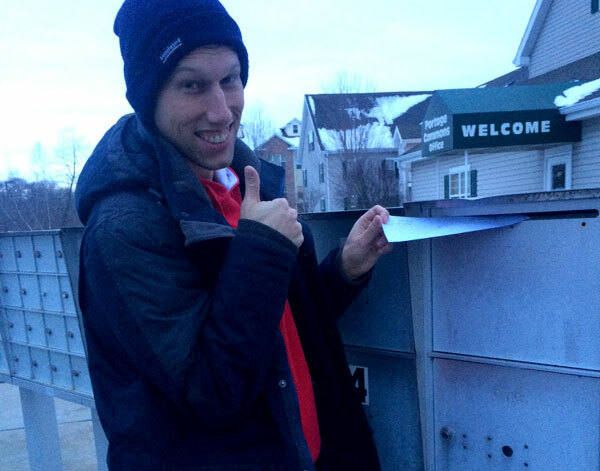 We are so grateful for Josh’s new job, but we hadn’t even received his first paycheck yet. We decided to take a few weeks to breathe. To process. To come up with a plan. We feel like we’ve been going full force ahead- Not only were we jumping in with adoption, but Josh started a job, plus we are keeping our own business (thus had been working nights and weekends), and we had even started house hunting. Not to mention two very active toddlers, and all that goes along with that. So… we felt like we needed to take a step back and breathe. And here we are, a few breaths later. That said, we still believe this is what the Lord wants us to do. God is not restricted by finances. He’s not restricted by our fears or things that seem crazy or impossible. Not once in the Bible is God’s plan or call on someone stopped due to money. He is the provider, and he can see to it. I also believe that God uses His people to answer prayers and to provide. We may need to back up a little, we may need a little bit more of a “plan” but sometimes you just have to leap in and take a step of faith. So, over the next few months we have some exciting things in store. We are planning on saving half and raising half the cost, and we have some super fun fundraisers in the midst of it. If anyone knows us, we love involving others in what God’s doing. We’ve decided it’s easier if we break it into bite size chunks. Let me give you a breakdown of what the next steps in our adoption will look like, and we’ll be referring to these often. Basically, it breaks into five phases, each has a cost and a wait. We hope to have some event or fundraiser associated with each phase. We’ll get into that more as we go along. This post is getting long, so I’ll stop there for now. We will have a post soon letting people know more details and what’s to come!! Prayer Point: Ask that we could continue to trust God and step out in faith, even when things seem impossible. Ask for clarity and wisdom in moving forward. Please pray for our little one (Jireh) as he or she is probably already born. Thanks! Sneak Peak: Here’s a sneak peak at what’s to come. The first two phases & upcoming fundraisers! As we get closer to travel, we plan on having some other things such as a possible art auction, local eatery fundraisers, etc. We’ll keep you posted! So, we have started what is termed “the paper chase”…. ie one paper after another, after another! And you know what?! I’m actually kind of enjoying it. Now, you may laugh. I know it’s only the beginning. However, I will say this kind of reminds me of visa application- and we have done loads of that! Thankfully Josh and I are quite organized (due to before mentioned visa applications). All that said, filling out papers kind of makes me excited. All this paperwork gets us one step closer to our little one. I suppose these could be called labor pains- but as any mama can tell you, it’s all worth it in the end. I wanted to write you a little note and tell you about some amazing things we’ve experienced lately. We’ve been praying about your adoption for a long time. And just recently God has provided an answer to some of our prayers, which gets us really excited about moving forward. God gave us a new job. I know that probably doesn’t mean much to you, but we’re just praising God right now for His faithfulness and kindness to us. We have felt in our hearts that we were supposed to adopt you. We love other cultures, so bringing you into ours and mixing our lives together is a God-given joy. But now that we have this job it’s really affirmation that we can go ahead with our plans. You see, adoption is really expensive and was much more money than we had. But we had faith that somehow God was going to provide the money. We had fundraisers planned. We were going to make and sell things. We were going to sell coffee, and ask for donations – because we believed we were supposed to move forward. 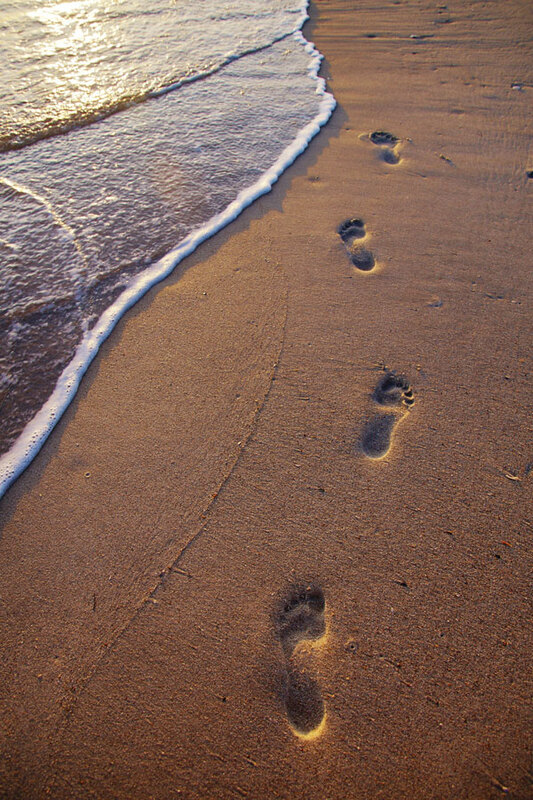 I guess that’s what faith is all about- stepping into the unknown, trusting. That’s why we gave you your name. Jireh means, “God provides”. And we’re seeing Him provide in pretty miraculous ways. I wasn’t looking for this job. But God brought it to us and I’ll take it. It’s a real answer to prayer. Now we’re just one little step closer to bringing you home. We can’t wait. It’s official… We are now what is termed “paper pregnant” ! 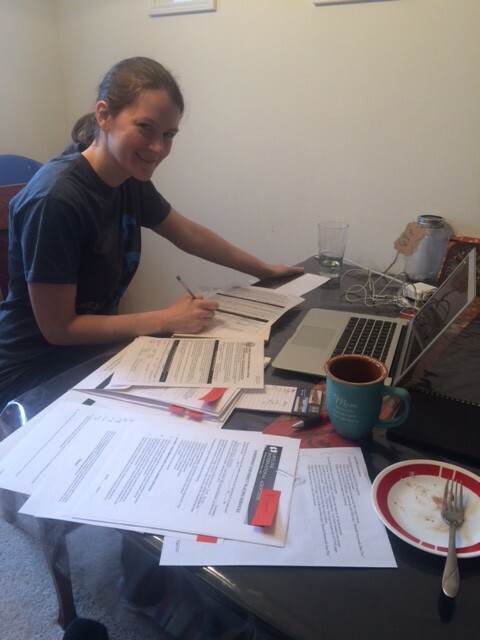 We sent in our application and met with our adoption agency last week to start the paperwork. For those who don’t know, we have chosen Lifelink Int’l as our agency and are hoping to adopt a little one from South Korea. It was encouraging, yet heartbreaking, to hear that there are soooo many waiting children in South Korea. We were told that after we have our paperwork and homestudy completed (3-6 mths), we may have a referral as early as a few weeks. Even though the referral comes quickly, it will probably still be about a year and a half to two years before we can actually go meet our child. We hear it’s hard to have a picture of your child, to be able to see, pray, and even sometimes maybe skype/send letters to him or her but not actually have them in your arms for a year or two. It will be so hard, but so worth the wait. There’s our brief update for now. So, now to kick things off… here’s another adoption term you may not be familiar with. We are now starting the “paper chase”… aka loads of paperwork and saving up. Here we go! Hi there! Welcome to our family adoption blog! 🙂 Here is the first post. More to come. GREAT NEWS! We’ve decided to adopt a child! We’re Josh and Kim. We currently have two little ones- Eli (3) and Ana (1). We lived overseas for a bit and now we are back in the States. We love other cultures, we love being parents. We have a heart for adoption and have a deep desire to give a loving home to a child in need. How much does it cost? Why so much? Every year, hundreds of infants are abandoned on the streets of Seoul (ever seen the movie Dropbox? If not, I’d encourage you to watch it!). There are always many reasons for a child to be orphaned. Parents may die, be unable to raise a child, or feel it best to give the child up. It is not an easy decision. South Korea is a shame based society. If a teenager gets pregnant out of wedlock, it brings great shame to their family. Girls can be kicked out of school, out of family, and children born outside of marriage are not treated kindly by society. Unfortunately many young mothers contemplate suicide, abortion, or abandonment. The option to give the child up for adoption gives both the child and mother hope for a brighter, loving future. Many times girls are more quickly adopted domestically, but boys remain orphans. After six months of looking domestically, children are able to be adopted internationally. Waiting children come in daily. We’ll have monthly fundraisers and will be keeping a blog! Wanna know a bit more about our hearts… read on. As long as we’ve been married we’ve always thought about adoption. The question was never if we would adopt. It was always just when and where from. We’ve lived overseas for the last several years, we started a business, and had a big move. We’ve had two children in the midst of it all, but all along the way, I’ve been praying for our waiting child. Longing to know who this child would be that God would choose. This past Mother’s Day we just really felt that we should move forward. If we’re honest, we can’t afford to adopt. We have the funds once the child is with us- but the adoption process is very expensive. We just moved back from overseas (living on a third of an American salary) and then started our own business. But, we really believe that this is the direction the Lord is moving us in. We know it will be quite the journey and process ahead. We know it will change the dynamics of our family for generations to come. We know that this is a different path and that we might sound crazy for pursuing it. But we also know that God provides. Our hearts are on fire for this child, whoever he or she may be. We can’t stop thinking about it, talking about it, praying about it. We know that God is a giver and that He longs to see the orphan cared for. We are trusting that if He wants us to adopt this child, He will raise the funds we need and bring this child home. Not just a little bit- but we really enjoy being parents. We are so grateful for the jobs that we have been in over the last few years because it has allowed BOTH of us to be an active part in our children’s daily lives. We get to be there for all the moments, we get to shepherd them together, throughout the day. We’ve been able to trade off with work and kids, and have come to realize just how fortunate we are to spend each day with them. We are both there for the little moments and the big. We get to shepherd them, play with them, love on them. We long to give that love and to embrace a child that wouldn’t have parents otherwise. Our children are a blessing, a ministry, and a true gift. We want our biological and adopted children to know that they are loved and are worth investing in. We also have a passion for the unreached, the unwanted, the overlooked. This seems to be a theme in our lives. When we moved to Asia, we chose a people that was often overlooked, on the fringe of society- but we loved them. We learned their language, we embraced their customs, and we were the first foreigner to ever do so. We became part of their family. We loved them deeper than we knew was possible. God calls us to love the widow and the orphan too. He calls us to reach out to the unreached. I want them to realize that they are loved. They are cared for. They are unique and beautiful, and that God sees them as well. I want to be a friend, a mentor, and a parent to one who may otherwise be overlooked. We have a heart for Asia. We spent five years as a married couple in Indonesia, and as singles we also spent time in Thailand, Bangladesh, the Philippines, and Honduras. God has wired us to love on and embrace other cultures. When we were overseas we were basically adopted into another people group- so you could say, we’ve been part of a multi-cultural family before, and we loved it. Of course it was challenging- but it was worth it. Our love for Asia runs deep. Sometimes we even say Asia is in our blood. Adopting internationally just seems to make sense. When I see someone of a different race, a different religion, a different culture- my heart lurches. I long to be their friend. I want to know their story. There is no judgement at all- I simply love Asians & Arabs. We already think cross-culturally, we learn other languages, we love travel, and we will saturate our home with a love for their birth country. We’ll visit, we’ll celebrate, we’ll learn, and we’ll teach them and the rest of our family about their heritage, which will become a part of our own. In other words, we are not taking a child from their culture, but we’ll bring their culture with us. Lastly, and perhaps the most important reason we want to adopt is because God adopted us. He adopted me. Wow. I was abandoned. I was orphaned. I was from a different race- but He grafted us in. There is no judgement, no separation. He is my father. Those who follow him are my brothers and sisters. What an incredible picture. I hardly feel worthy to have a parallel picture of that in our family- but to grasp this image of being adopted into God’s family, gives me shivers. It makes me excited to graft in an orphan into our own family and show them unconditional, unfathomable love.